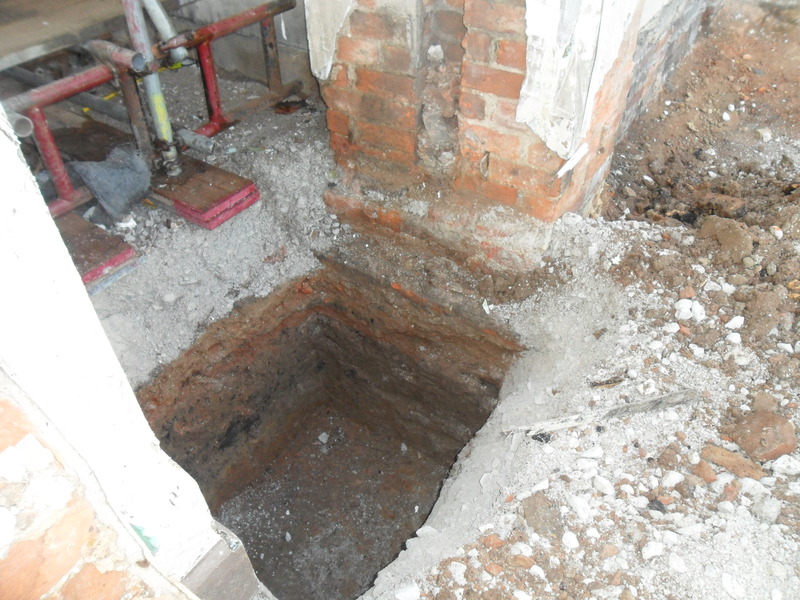 Here are some (admittedly not overly festive) photographs of the ongoing redevelopment of St Marie’s Church in Widnes. The photos were taken by Dave Clark of John Turner Construction Ltd. The seldom seen “cement action shot”. Difficult to capture. 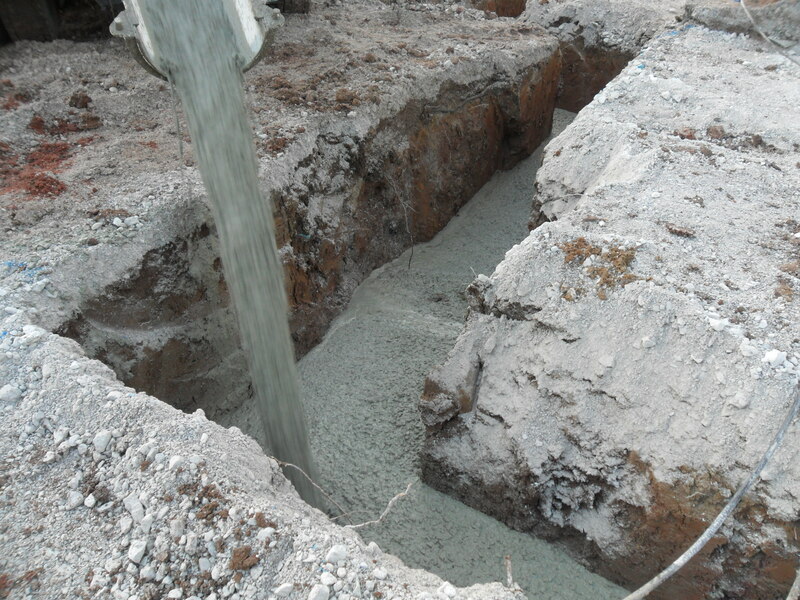 Placing concrete for foundations for the new single story extension (which provides new toilet facilities). We haven’t seen inside the Church for some time. It’s a bit bleak, but the amount of space is really surprising. Hello again. 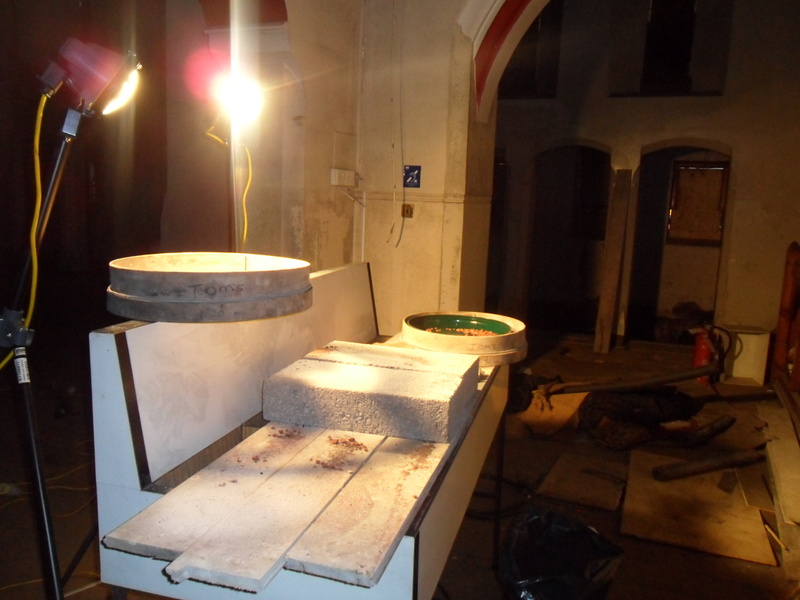 A quick update with more photographs of this week’s endeavours at St Marie’s Church. As ever, the photos were taken by Dave Clark of John Turner Construction. Thanks Dave! And here it is after. 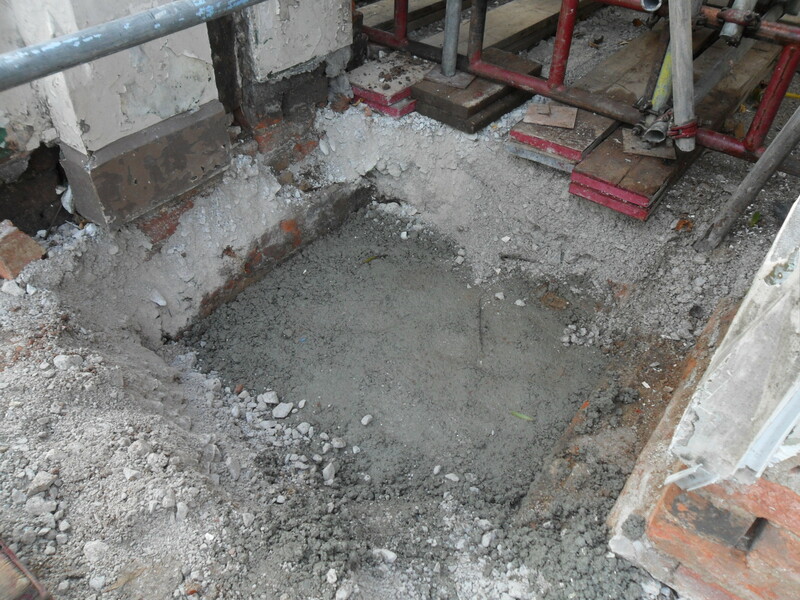 The foundation is being laid for the new corner buttress following removal of the existing archway. A rare shot inside the church. Its a work bench with two riddles or sieves that were used to segregate crushed brick, coal and other aggregates in order to manufacture the mortar to match the existing mortar of the church. 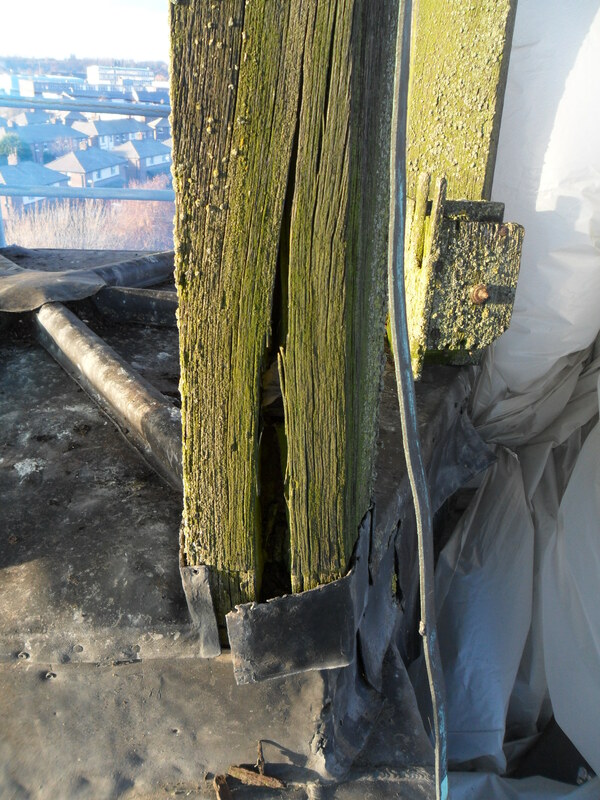 This mortar was used for repointing the brickwork and replacing damaged bricks. We’re on the BBC Website! 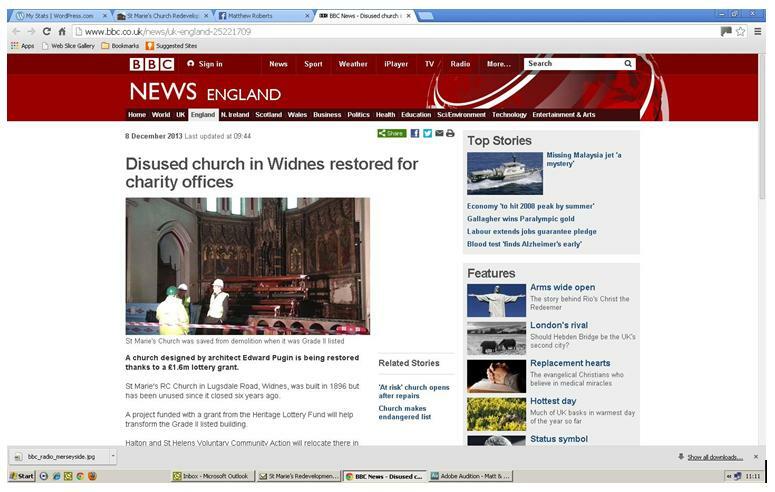 The St Marie’s Redevelopment Project has made it onto the BBC website! 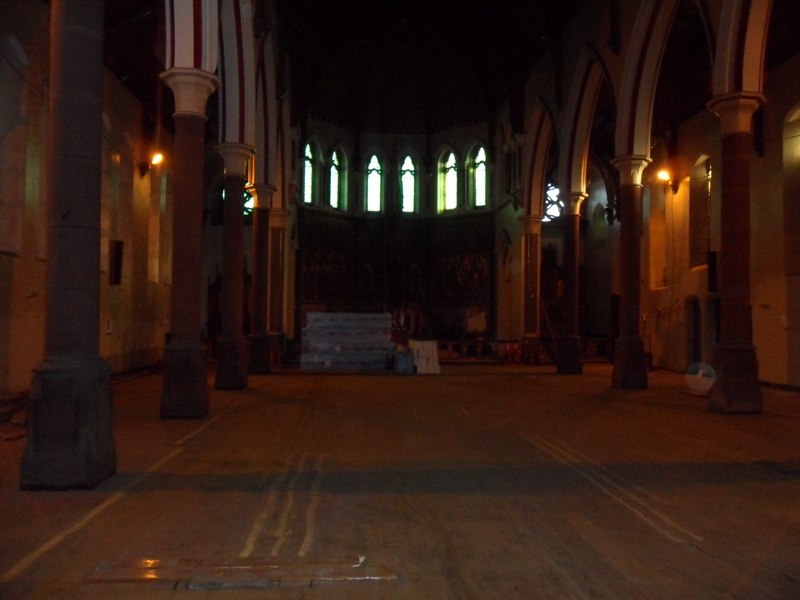 A church designed by architect Edward Pugin is being restored thanks to a £1.6m lottery grant. St Marie’s RC Church in Lugsdale Road, Widnes, was built in 1896 but has been unused since it closed six years ago. A project funded with a grant from the Heritage Lottery Fund will help transform the Grade II listed building. Halton and St Helens Voluntary Community Action will relocate there in May in newly-constructed offices within the restored church. The architect, Edward Welby Pugin, designed and completed more than 100 Catholic churches. 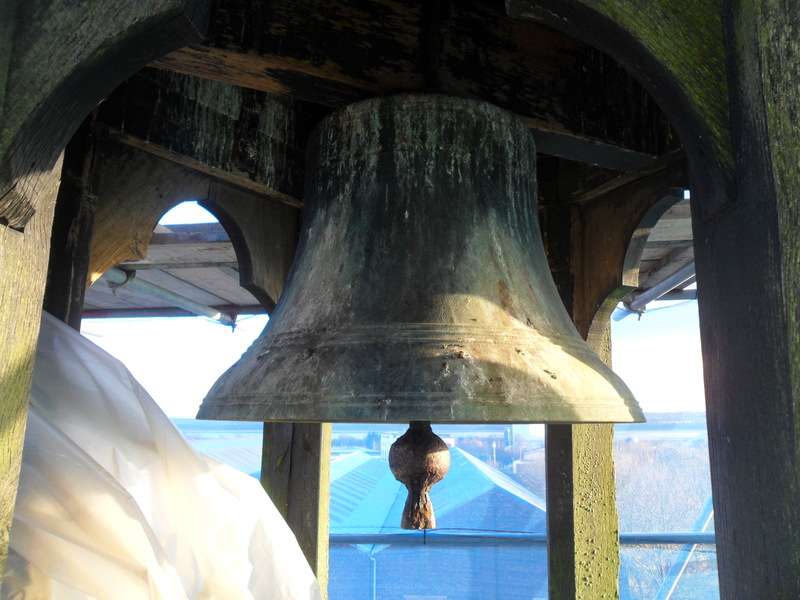 Matthew Roberts, from the charity, said the development “pays tribute” to the church’s past and by next May it will be “restored to its heyday”. Roger Harrison, former head teacher at St Gerard’s primary school, was baptised and took his first communion and confession there. He said it was “so exciting” the church will be alive again. It was very important for the community, he added. The red brick church was saved from demolition with the help of Halton Council, after it was listed by English Heritage. It was built to accommodate large numbers of Irish immigrants who came to work in nearby chemical factories. The Victorian Society identified it as being one of the 10 most endangered Victorian buildings in Britain. Roger Harrison and I were interviewed by the BBC on Monday 2nd December and the above feature was played out on the Tony Snell Breakfast Show the following morning! 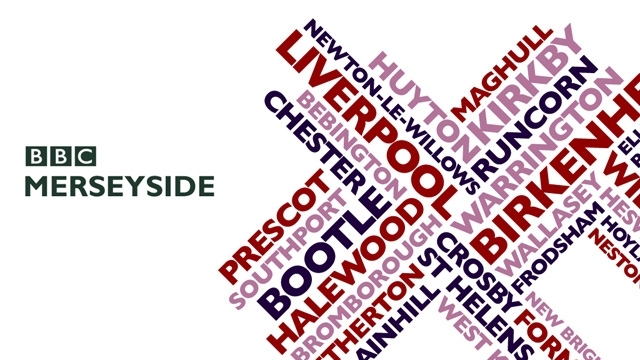 To hear the interview, click on the play button above the BBC Radio Merseyside logo. We are extremely grateful to BBC Radio Merseyside (and in particular Jimmy McCraken) for their support. Hope you enjoy it. Roger is clearly a star! More photos from the continuing redevelopment of St Marie’s Church on Lugsdale Road in Widnes. 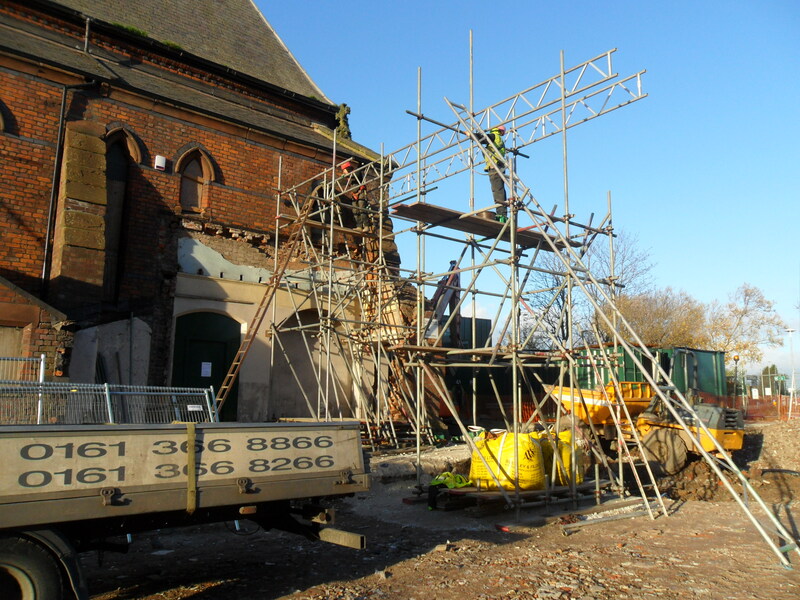 The photos were taken by Dave Clark, Project Manager for John Turner Construction Ltd.
As previously mentioned, this scaffolding was designed to shore up the corner of the church in order to remove the arch and then to rebuild the corner buttress full height.